Being in Florida, tile roofs are common. Even though tile is very durable in extreme weather conditions, the roofs still need to be accessed and replaced just like shingle. Jasper Contractors now has the ability to expand the customer base in Florida offering both services. One of the largest names in the roofing industry announces its expansion into new services. Jasper Contractors has specialized in asphalt shingle roofing for over 14 years helping customers re-roof their homes after weather damage has occurred. Beginning this month, the company will now be able to assist customers looking to replace shingle and tile roofs. This news comes shortly after the company announced its expansion into the commercial division. The company is steadily expanding throughout the state most recently adding Melbourne, Fla to its service areas. This will make the sixth office location for Jasper Contractors. 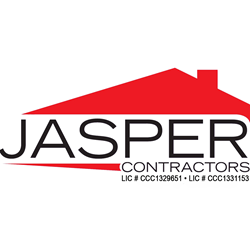 For additional information about Jasper Contractors or the services they provide, visit http://www.JasperRoof.com or call directly at (407) 278-7788.